Michael Householder, PhD. Wednesday, 10 December 2014, 4:00-5:30pm. Crawford Hall, room 618. Title: Doing Ethics in the Dark: Narrative, Drama, and Ethical Judgment. Michael Householder is Associate Director of SAGES and Adjunct Instructor of English at Case Western Reserve University. Abstract: It has become common practice for medical education and bioethics programs to use literary texts to teach students how to be ethical clinicians and researchers. In the fields of literary studies and the cognitive sciences, however, the questions of whether and how a reading experience produces a reader who acts ethically are hotly contested. Proponents of literature’s value have attempted to articulate the interaction between narrative and ethical judgment (Booth 1988; Nussbaum 1995; Phelan 2007). Their work draws attention to the ways in which the act of reading “demands both immersion and critical conversation, comparison of what one has read both with one’s own unfolding experience and with the responses and arguments of other readers” (Nussbaum 1995). In this paper, I consider the question of whether these immersive and conversational aspects of reading exist strictly (or at least more richly) in longer fictional narratives, as Nussbaum contends, or if they apply equally to other narrative forms, for example case studies, or other modes of reading experience, such as viewing a dramatic performance. As an illustration, I examine the Cleveland Play House production of Deborah Zoe Laufer’s Informed Consent, the dramatization of a true story about a genetic researcher whose drive to find scientific truth causes her to violate the cultural beliefs of her Native American research subjects. In specific, I identify the script’s and production’s strategies for immersing the audience in the narrative’s storyworld, as well as how it invites audience members to assume various ethically-conflicted cognitive stances within it. I also consider how reading the narrative as a member of a flesh-and-blood theatrical audience reconfigure the conditions and effects of an immersive reading experience, as well as the impact that audience members’ reactions (e.g., laughter, applause, tears) have on the formation of ethical judgment. Mark Turner. Tuesday, 18 March 2014, 4:30-5:30pm. Room 206, Clark Hall. 11130 Bellflower Road. Title: Speech, Gesture, Bodily Stance, Graphics, Music, and Media: Studying Multimodal Communication in a Massive Dataset. Mark Turner is Institute Professor and Professor of Cognitive Science at Case Western Reserve University. Pre-lecture reception begins at 4:15pm. Free and open to the public; registration recommended. Click here for further information and registration. Abstract: Human communication is multimodal, involving language, co-speech gesture, interpersonal interaction, audiovisual components, media, and technology. Our views of traditional texts have only just begun to include examples of multimodal communication. Professor Turner’s talk will look at theoretical and empirical aspects of computer-assisted research on a massive multimodal corpus of human language and communication. William Deal. Wednesday, 26 February 2014, 4:30-5:30pm. 618 Crawford Hall. Title: Is Religious Experience a Special Kind of Experience? 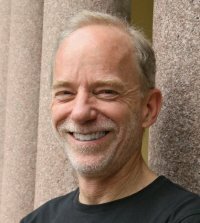 William Deal is Severance Professor, Department of Religious Studies, with a secondary professorial appointment in the Department of Cognitive Science, at Case Western Reserve University. — What makes an experience religious? — Is mysticism a kind of religious experience or something different? — Are ascetic practices and spiritual feelings examples of religious experience? — To what extent does a definition of religion dictate what counts as a religious experience? — Is religious experience a universal category with a set meaning or is it only explicable in terms of particular cultural practices? This presentation explores the problematic concept of religious experience by contrasting traditional religious studies interpretations of this term with perspectives drawn from cognitive science research. Almir Mustafić. Wednesday, 15 January 2014, 4-5pm. 618 Crawford Hall. 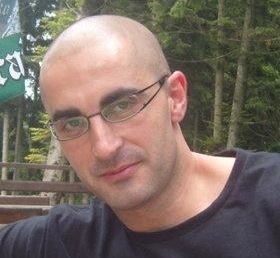 Title: An Ideal US Presidential Candidate: A Multimodal Analysis of the 2012 US Presidential Campaign.Almir Mustafić is a Fulbright Scholar visiting from the University of Tuzla in Bosnia and Herzegovina. Abstract: In this analysis, I explore the differences between the two US presidential candidates from the 2012 campaign: Mitt Romney and Barack Hussein Obama. The analysis is part of a broader research program focused on determining criteria for an ideal US presidential candidate, with emphasis on what elements their campaigns should be based on. As people are extremely complex and make voting decisions based on extremely complex mental processes, I hypothesize that these processes are influenced by a political candidate’s verbal and nonverbal communication, political background, attitudes toward certain issues, and socio-economic context. The first stage of my research focuses on the analysis of speeches delivered in the 2012 swing states—states that are traditionally neither Democratic nor Republican. For this colloquium, I established a framework of analysis and looked into the candidates’ speeches from New Hampshire. In the first part of the presentation, I will talk about the battleground states in the 2012 elections, Democratic and Republican political platforms and campaign promises, and will touch upon the 2012 socio-economic circumstances. In the second part of my presentation, I will talk about the candidates’ language and analyze their narratives, frames, and metaphors. In the following part, I will deal with nonverbal communication. In this part, I will talk about gestures and gesturing spaces candidates use and to what extent they combine them with metaphors. Then I will look into the technical details of the speeches such as length, number of words and pauses per speech, most common words and average length of pauses made during the speeches, etc. Finally, I will compare the above-mentioned elements and explain what was different in Obama’s and Romney’s speeches in New Hampshire.